Posts' Footer Manager plugin helps you organize and clean the footer of your pages, posts and custom post type's posts. Usually at the end of your articles and pages you have a lot of thing that other plugin place automatically. Posts' Footer Manager plugin lets you organize them. You have the sharing buttons at the end of your posts. The plugin you use insert the buttons automatically in a weird way, for example attached to another element of your theme. 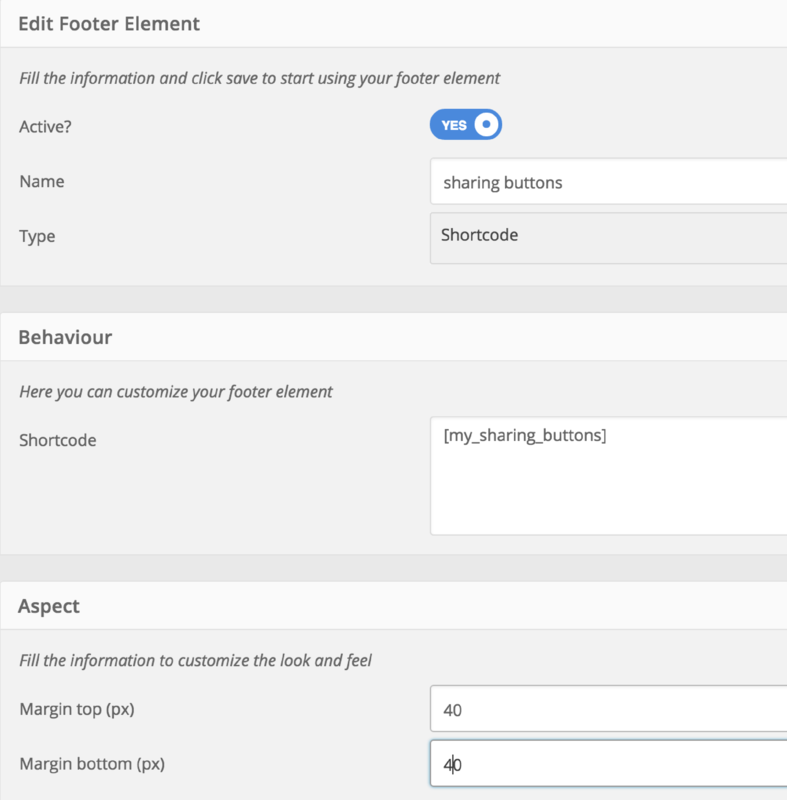 With Posts' Footer Manager plugin you can insert a "gap" at the end of your posts and then insert the shortcode of the sharing buttons. You can add different types of elements, such as text, shortcodes, images, scripts, and divide elements in groups. Every group has a specific options and location (e.g. posts category: "Flowers"). For more information about groups and elements, click here .